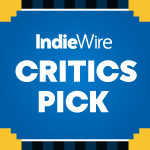 An imaginative spy game filled with tradecraft and inter-dimensional portals shapes a story about the fleeting choices in life that come to define us. The Twins TV Trend of 2017 has crossed over to the new year, and it’s chosen a worthy vessel for the voyage. After getting double doses of Justin Theroux (“The Leftovers”), Ewan McGregor (“Fargo”), James Franco (“The Deuce”), and Kyle MacLachlan (“Twin Peaks”) last year, J.K. Simmons is keeping the streak alive in the new Starz science-fiction thriller, “Counterpart.” Though one might think creators are running out of viable conceits to get a two-for-one special on their leading actor, Justin Marks makes sure this acting bargain pays off far beyond Simmons’ superb performances; Overall, “Counterpart” is very, very good. Meet Howard Silk. Howard (Simmons) is a devotee: He’s been working for the same company in the same job in the same clothes, location, and conditions for 30 years. He’s been married to the same woman, Emily (Olivia Williams), for most of that time, faithfully at her side through thick and thin. Beyond his devotion to both company and companion, Howard is a man of routine. He gets up and goes to work, always arriving early, not late. He goes through his mysterious job with such a strict adherence to procedure that he gets in trouble for pointing out a spot on a co-worker’s tie. He plays the board game Go with his friend Andre every Tuesday and Thursday. Andre is his only real friend, and Howard only met him because his routine changed. Recently, Emily was hit by a car when she was crossing the street. She survived, but she’s been in a coma ever since. So now Howard goes to the hospital every night, dropping a new flower at the nurse’s station to replace the one he brought before. The rest sit next to his wife, as he reads to her until visiting hours end. But there’s another Howard Silk — the O.G. Howard’s counterpart. He’s not a lowly cog at the spy agency, but a high-up operative working leads. He doesn’t adhere to a strict schedule because his job demands spontaneity. And he was once married to Emily, but things have changed there, too. “Other” Howard exists in another world; a parallel dimension with an entrance being guarded by the company where both Howards work. But he’s coming to Howard’s side to investigate a murder, and he needs Howard’s help. In case it’s not clear from the very basic plot description above, there’s a lot going on in “Counterpart.” Imagine your classic spy story, packed with double agents, secret sources, coded messages, and all that tricky secret agent stuff, but throw in a parallel dimension where every character has a double who looks exactly like them but is otherwise quite different. The tightly scripted pilot excavates plenty of world-building in a fun and fast first hour, helping to clarify where this takes place (a United Nations agency in Berlin), when (the not-too-distant future), and how these dual universes came to be (nope, not giving this one away). But there’s so much more to discover. 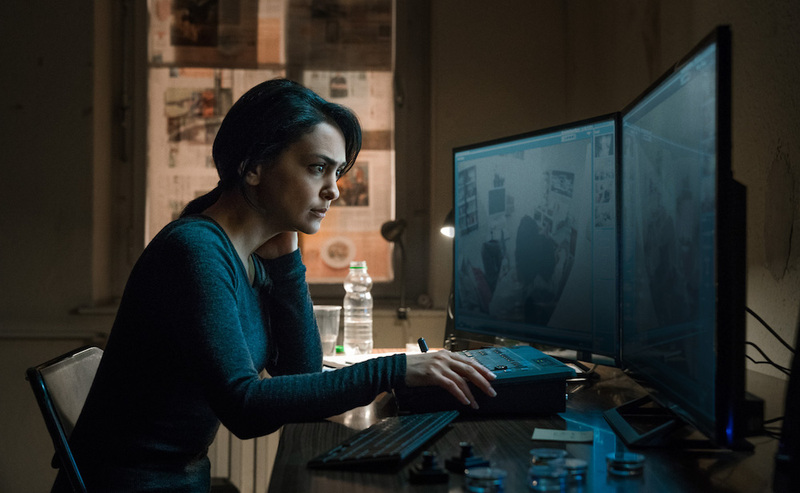 Through five episodes, “Counterpart” keeps building. It connects pieces that were subtly tossed out earlier just as it answers big questions it put a pin in during early hours. Marks’ series demands your full and undivided attention, which is a major plus in the real world where viewers scan Twitter or text their friends while watching TV. That’s not an option here. Starz has been pretty high on “Counterpart” leading up to its premiere, and one reason for their enthusiasm may be that the series represents a rarity in weekly released programming: Twists demand you keep up (or risk being spoiled), and everything happening onscreen makes such appointment viewing worthwhile. That includes Simmons’ two tremendous turns. It would be one thing if the Oscar-winning character actor was playing the same guy twice over, and one Howard just had a hat and an accent; or if he was playing one Howard as a version of himself and then putting everything new or different into the Other Howard. (Imagine, if you will, one Howard as the lovable father from “Juno” and the other as the tyrannical teacher from “Whiplash.”) Instead, he’s building fully formed individuals from the ground up. Simmons gives O.G. Howard the slight slouch and placating intonation of a man who’s always served someone else. Other Howard is straight-backed, confident, and curt. Distinguishing between the two is never a problem, even sans props (like a hat), and much of that credit goes to Simmons. But just as important as their differences are their similarities; Marks’ writing and Simmons’ performance draw out empathy for each Howard, and select scenes give each the opportunity to hint that, at least, the other Howard might be within them somewhere. “Counterpart” spends a good chunk of time discussing, in various forms, whether people can really change or they just appear to change. Simmons is the living embodiment of this debate: Are the two Howards really the same guy deep down, or did their differing circumstances fundamentally change who they are? Without spoiling too much of the illuminating premiere, the two Howards started as the same person and then went on different paths. That choice allows the series to explore themes of inherited vs. formed identity. 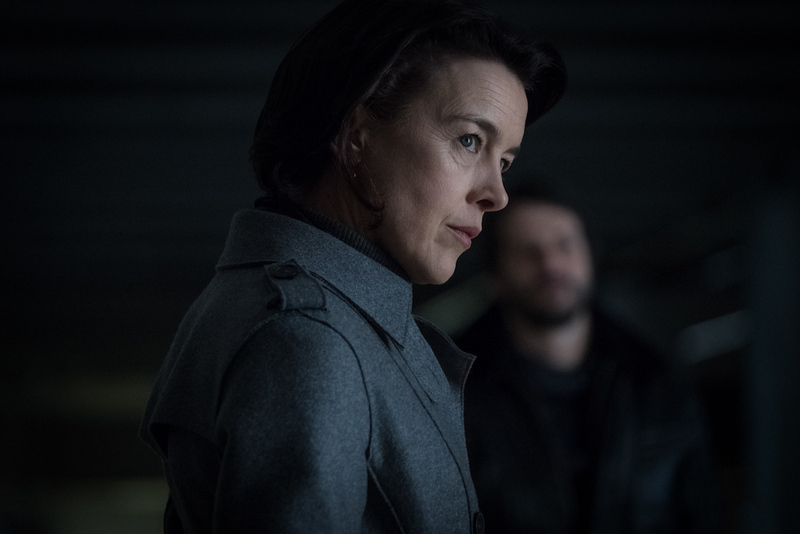 Like a lot of time travel narratives, “Counterpart” asks if Howard’s life could’ve been different if he’d just made this choice instead of that one; asked for more or demanded less; trusted someone or protected himself. It’s a strong base for intriguing allegories (a staple of great shows in the genre) and Marks has built a sturdy foundation in Season 1. There are many directions the story could go, including plenty of ways for the whole show to go off the rails. But there are more than enough carefully planned connections and well-calculated twists to inspire security in this tantalizing tale. Instinctively, two J.K. Simmons has always sounded better than one, just like one million Oprahs is one million times better than one. But “Counterpart” is more than a trending topic. It feels like a series that’s here to stay. “Counterpart” Season 1 premieres Sunday, January 21 at 9 p.m. on Starz.